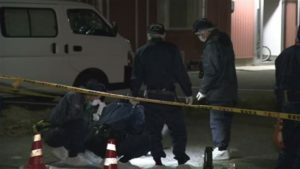 TOKYO (TR) – Following the suspicious death of a real estate magnate and noted womanizer at his residence in Tanabe City last month, Wakayama Prefectural Police have searched multiple locations in the capital on suspicion of murder, reports the Asahi Shimbun (June 3). On the night of May 24, the wife of Kosuke Nozaki, 77, found him not breathing on a sofa in a second-floor bedroom of their residence in Tanabe City. He was later confirmed dead, according to police. The results of an autopsy did not reveal the cause of death. 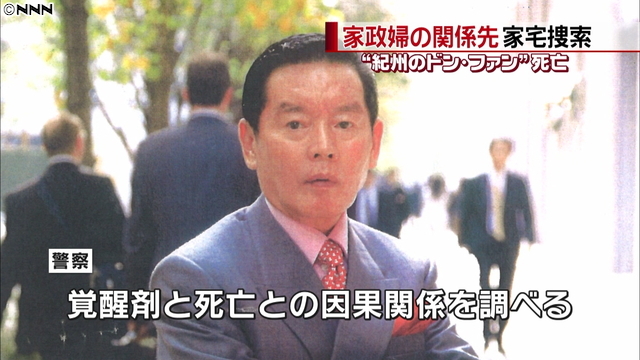 However, after a large quantity of chemical components of kakuseizai, or stimulant drugs, was detected in his system, police opened a murder case. 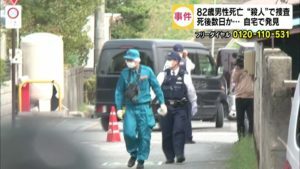 Through Sunday, police had searched locations connected to Nozaki’s housekeeper and their family, all located in the capital. Police have also conducted analyses of the urine of persons connected to Nozaki, seeking to learn if any of the results provide a positive result for stimulant drugs. According to a previous report, Nozaki amassed tremendous wealth through work in the real estate, consumer lending and agriculture industries. His palatial residence in Tanabe is adorned with works of art. Nozaki frequently boasted about relationships with women. In 2016, he penned “Don Juan of Wakayama: The Man Who Has Supported 4,000 Women with 3 Billion Yen.” Weekly magazines and television programs began to subsequently refer to him as “Don Juan.” This past February, Nozaki married his current wife, who is 55 years his junior.